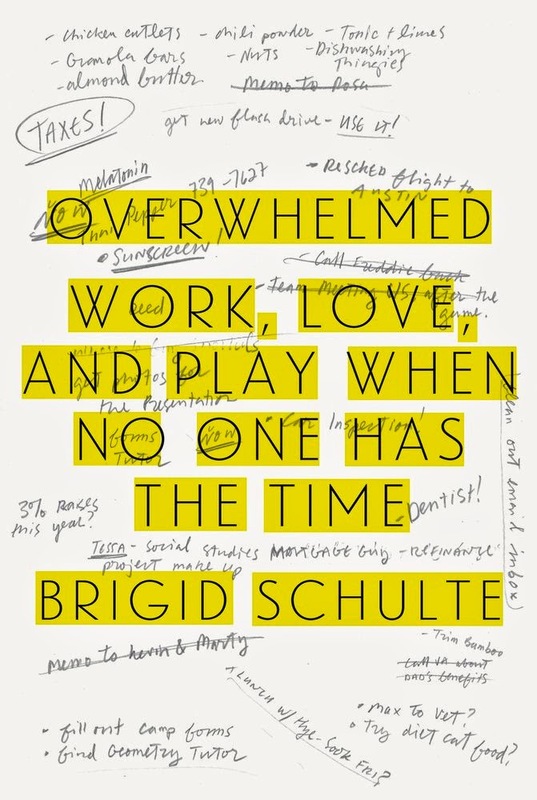 Several months ago, I stumbled upon an article about Overwhelmed: Work, Love, and Play When No One Has The Time by Brigid Schulte. Then I stumbled upon another. Of course, I was attracted by those words "No One Has The Time." But I also was interested because both the articles included information about John Robinson, a sociologist who has studied how people use time through "time diaries." Robinson told Schulte that people have an average of 30 hours a week of leisure time, far more than most of us believe we do. This made me wonder if how we perceive what we're doing comes into play here, and, if so, can we writers use that somehow. So far, the book reminds me of Welcome to the Lizard Motel and Quiet: The Power of Introverts in a World That Can't Stop Talking. All three books take a memoirish angle to nonfiction. And all three authors have a personal issue that they're trying to support with their books. (I am not the only reader to get the introverts/good, extroverts/not so good feeling from Quiet.) In my early reading of Overwhelmed, for instance, Schulte really isn't having any of Robinson's contention that she has so much leisure time. She seems determined to prove him wrong. The portion of the book I've completed has a lot of information about the traditional work world. A lot of it will sound familiar to anyone who has been reading about women and work for the last few decades in terms of women's treatment in the workplace. The new information is that this is still going on and that men, too, are now negatively impacted by what Schulte calls our culture's commitment to a retro "Ideal Worker," one who can live at the office. Her point is that work life has an impact on how we spend our personal time, which I certainly agree with. I still have to see if Schulte will give some advice on what to do about it. Check out blogger Becky Levine's response to Overwhelmed. Yes, I'm a day late with Time Management Tuesday. I was having problems last night.